Indium Corporation’s newly-patented BiAgX® solder paste technology is the only low-cost, lead-free replacement solder paste that is customer-proven to survive JEDEC/IPC J-STD-020 MSL1 preconditioning in specific devices without delamination. BiAgX is a high-melting, lead-free (Pb-free) solder paste technology that serves as a drop-in replacement for the high-Pb solder pastes used in many high-reliability die-attach and electronics assembly applications. BiAgX survives junction temperatures and high-temperature environments in excess of 175 °C, with minimal degradation of the mechanical structure and joint strength. Environmental and legislative concerns are driving consumers away from products using solders that contain lead, including solders used in die-attach applications for analog semiconductor assembly. 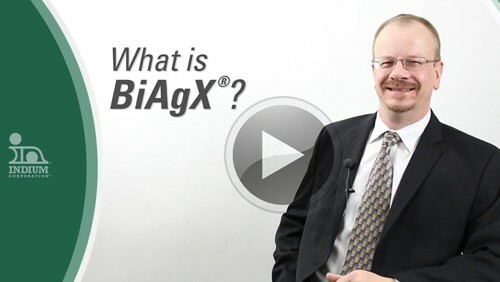 Customers have proven that BiAgX addresses these applications in a Pb-Free configuration. “Our U.S. Patent has been approved. 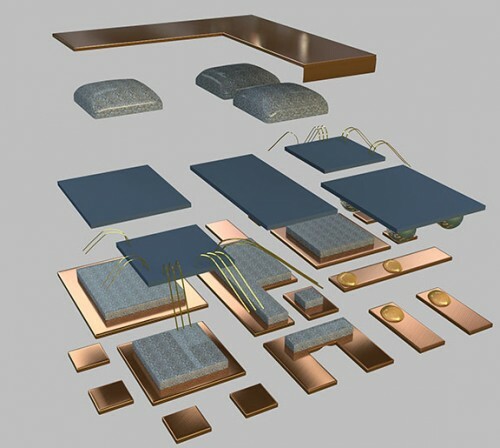 This and the other global patent applications ensure that BiAgX is the only low-cost solder solution for those ODM, OSAT, and other electronics assembly customers looking to replace high-lead containing solders,” said Indium Corporation’s Andy C. Mackie, PhD, MSc, Senior Product Manager for Semiconductor and Advanced Assembly Materials. BiAgX is suited for small, low-voltage QFN packages that are used in portable electronics (smartphones/tablets), automotive electronics, and industrial applications. It requires minimal process adjustments and no capital expenditures for customers converting from a standard high Pb-containing solder paste-based process. It is both Pb-free and Sb-free (antimony-free) and does not contain costly specialty materials, such as nanosilver or sintering aids.